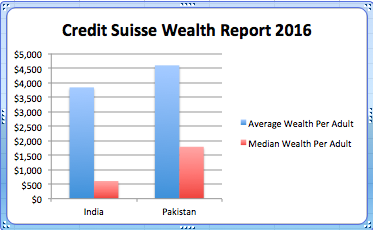 Average Pakistani adult is 20% richer than an average Indian adult and the median wealth of a Pakistani adult is 120% higher than that of his or her Indian counterpart, according to Credit Suisse Wealth Report 2016. Average household wealth in Pakistan has grown 2.1% while it has declined 0.8% in India since the end of last year. Average wealth per adult in Pakistan is $760 more than in India or about 20% higher. Soaring broadband subscriptions in Pakistan have helped drive a whopping 35X increase in Internet data usage since January 2014. As the number of broadband subscriptions in Pakistan crossed 38 million in October 2016, the internet data usage jumped from 1,243 terabytes in January 2014 to 45,672 terabytes in September, 2016, according to Pakistan Telecommunication Authority. A lot of new data traffic is being driven by 3G/4G equipped smartphones running a variety of applications ranging from social media to consumer and business apps. 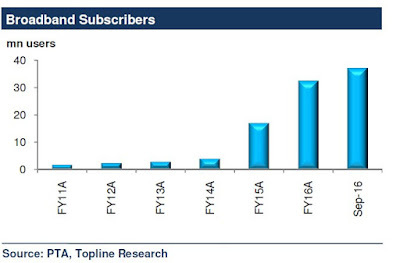 Mobile broadband (3G/4G) subscriptions have jumped from almost zero in 2014 to 34 million as of September, 2016. It has been accompanied by corresponding increase in the number of smartphones which is expected to cross 40 million mark this year. 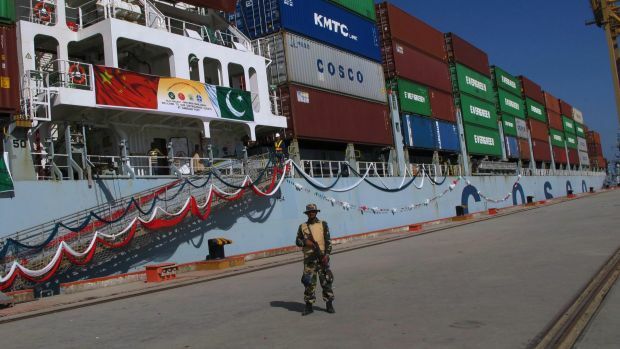 Pakistan's Choice of Regional Economic Blocs: CAREC or SAARC or Both? Pakistan sits between two economically very dynamic regions: Central Asia (and Western China) and South Asia. Which region is better suited for its economic connectivity and integration? Should Islamabad focus on CAREC (Central Asia Regional Economic Cooperation) rather than SAARC (South Asian Association of Regional Cooperation)? Ideally, Pakistan should be a major player in both vibrant regions. However, Indian Prime Minister Narendra Modi's policy of attempting to isolate Pakistan has essentially forced it to choose. First, Mr. Modi decided to boycott this year's SAARC summit that was scheduled to take place in Islamabad, Pakistan. Then, he unsuccessfully attempted to hijack the BRICS economic summit in India to use it as a political platform to attack and isolate Pakistan. The signal to Pakistan was unmistakable: Forget about SAARC. A November 2016 World Bank report says that Pakistan has successfully translated economic growth into the well-being of its poorest citizens. It says "Pakistan’s recent growth has been accompanied by a staggering fall in poverty". 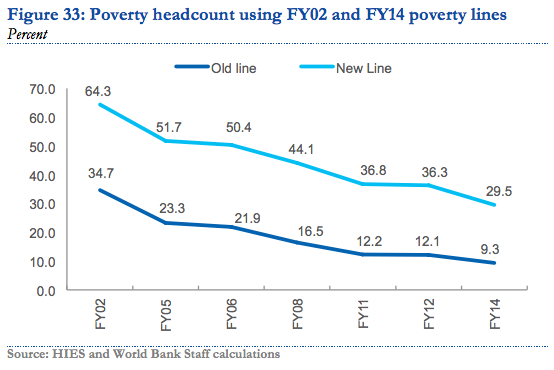 Rising incomes of the poorest 20% in Pakistan since 2002 have enabled them to enhance their living standards by improving their diets and acquiring television sets, refrigerators, motorcycles, flush toilets, and better housing. 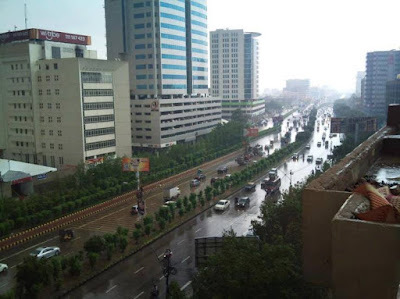 Another recent report titled "From Wealth to Well Being" by Boston Consulting Group (BCG) also found that Pakistan does better than India and China in translating GDP growth to citizens' well-being. One particular metric BCG report uses is growth-to-well-being coefficient on which Pakistan scores 0.87, higher than India's 0.77 and China's 0.75. Pakistan's banks are showing strong performance with significant growth in deposits, assets and private sector credit. All areas of banking, including commercial, mobile and Islamic banking, are contributing to it. Pakistan's commercial banking industry grew by 16.1 percent during fiscal year 2015/16. Strong aggregate demand and improving business sentiments were seen in private sector credit growth of 12 percent, expanding by Rs. 461 billion in FY16 from Rs. 224 billion in the prior year, according to a World Bank report in the media. Mobile banking transactions in Pakistan grew to Rs. 1.5 trillion during 2015-16. The State Bank of Pakistan (SBP) has recorded Rs. 543.6 billion in branchless banking transactions in the latest quarter, sequential growth of 6.8% over the previous quarter. It's a good sign of growing financial inclusion in the country.